The conventional wisdom on buying a laptop says the average person doesn't need a bucketload of RAM. But if you're not the average person and you're hitting a performance wall with today's 8GB RAM modules, you've been out of luck. Enter I'M Intelligent Memory, which claims its new 16GB modules will take your Broadwell U-based laptop or Mini NUC-style PC beyond what even Intel will approve. I know, you don't believe me. I wasn't sure either when I'M Intelligent Memory contacted PCWorld to declare in triumph that it could take a laptop or NUC to 32GB of RAM. That's because Intel's official limit for RAM on its 5th-gen Broadwell CPUs is 16GB. Period. That's where I'M Intelligent Memory claims it worked its magic to get beyond that limit. This is a supercharged Intel NUC with a 1GB/s M.2 SSD and 32GB of RAM inside. JEDEC, the industry body that sets RAM standards, dictates that SO-DIMM RAM modules must contain only 16 chips. That's made achieving high-capacity RAM modules very difficult with the density of memory wafers. Because of this limitation, modules have been stuck at 8GB for years. I'M Intelligent Memory says to achieve the higher density it's using a unique stacking process, where it takes two 4-Gigabit chips and stacks them to make an 8-Gigabit chip. It then uses these modules to produce its 16GB modules, while others on the market are stuck at 8GB. The sticky part in all of this is Intel's approval. Intel told PCWorld it would not validate a 32GB configuration for Broadwell, but it would provide white paper guidance. Company officials added that it "should" work technically. In other words, you're doing it at your own risk. Intel doesn't list any Broadwell chips that support more than 16GB but ours was fine with 32GB. I'M Intelligent Memory officials, however, "guaranteed" it would work. Not content to take the company at its word, I tested a couple of modules against the company's claims. Because the only laptops I have with Broadwell chips are Ultrabooks with soldered-down RAM, my only real option was to use Intel's new Broadwell-based NUC. The unit I used is the NUC5i5RYK with a Core i5 5250U inside of it. As you'd expect, installing the modules is no different than for any other RAM except damn, 16GB a piece! Proof: Even though Intel spec's the max RAM in its latest NUC as 16GB, you can indeed get to 32GB of RAM using Intelligent Memory's new 16GB modules. Once I put the modules in place, I also decided to hot-rod the NUC a little more by using Samsung's XP941 M.2 PCIe module in it. The SSD is rated at more than 1GB of read speed. 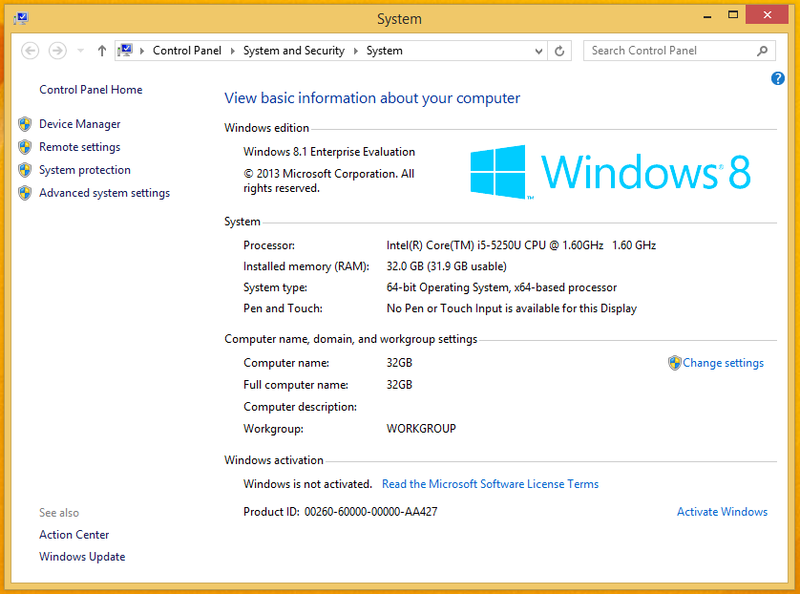 With the M.2 and RAM in place, I booted up and performed a clean install of Windows 8.1 Enterprise. I wanted to see whether the memory was stable enough to survive an OS install. During my testing I experienced no issues. In fact, the entire experience was pretty boring. Certainly more boring than my attempts to get that Samsung XP941 to boot in the Dell XPS 13. That ended in utter failure, as Dell's current BIOS doesn't seem to support booting to PCIe devices. With the IM modules, it was dead boring. I had no issues installing drivers and not one single hiccup installing the dozens of updates, nor running Prime95 stress test in blend mode overnight. One thing you should know: The modules we were loaned are at DDR3/1333 speeds. For most CPU-intensive tasks that won't matter. For graphics-related or gaming though, you'll take a small performance hit, as integrated graphics scale in performance better with higher RAM speeds. I'M Intelligent Memory said its first modules are DDR3/1333, and it's investigating whether it can get to the same high density and maintain higher speeds. If your computing application is starving for more RAM, it may be worth taking the bandwidth hit for the doubling of capacity. Intelligent Memory says its 16GB SO-DIMMs are the first to market and will let you run your Broadwell U machine with more memory than Intel will condone. If you're a RAM hog don't just rush out and buy the modules, which retail at $325 apiece. You should know that while the modules work in Broadwell parts, they likely won't with any Haswell CPUs. I'M Intelligent Memory attributes the limitation to the memory controller implementation in Haswell CPUs. And while some Haswell mobile parts list the maximum amount of RAM as 32GB, those may be used in larger notebooks that support four RAM slots using 8GB SO-DIMMs to get to 32GB. And yes, such a laptop built using a Broadwell U CPU would likely let you run four 16GB modules for 64GB of RAM in your laptop. You also need to check whether your Broadwell U laptop will even support memory modules. In pursuit of thin, many laptop makers have resorted to soldering chips directly to the motherboard with no option to upgrade memory. 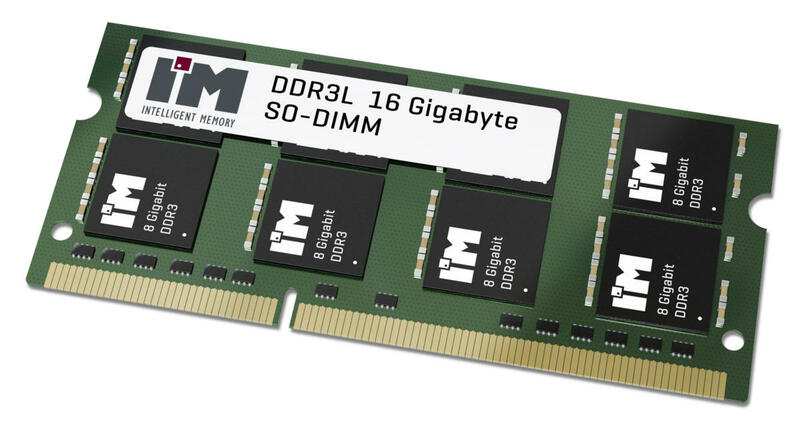 Interestingly, I'M Intelligent Memory has also produced 16GB modules for desktop use. Working with Asus last year, I'M said it was able to get X79 systems up to 128GB using the same technique on 16GB DDR3 DIMMs. Perhaps more interesting will be the move to DDR4. I'M Intelligent Memory says by stacking chips it will be able to make 32GB modules for laptops and NUCs as well. That means a laptop made later this year or early next year with two slots could be built with 64GB of RAM, with four slot laptops packing 128GB. Even crazier? Desktops with eight slots reaching capacities of 256GB.